In eleven years of operation, our agency never received a single client inquiry about the websites their display ads were showing on for their remarketing ads. 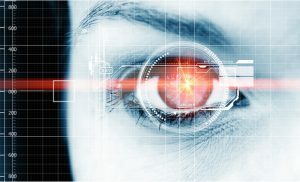 They looked at display remarketing advertising objectively based on the results their campaigns delivered, knowing the common thread with the ads was that their own site visitors were the factor that led to an ad being shown on a web publisher’s pages. They might ask occasionally what site generated the most conversions, but that was about their only concern. That all changed in late November and December after the election of Donald Trump. We found ourselves suddenly inundated with client communication asking the same specific question: Do our display ads show on Breitbart? The answer was invariably yes they do, because the site visitors that create a remarketing audience might also go to Breitbart.com and it is part of the Google Display Network that they advertise on. Do you want your brand associated with this? The next question was usually, “How much did we spend and how many clicks did we get from it?” The topic of business derived from those ads never came up as a question, but the topic of preventing their ads from showing on that site did. And that’s where the plans of action and decision making diverted for all of them. Some preferred the surgical approach of just excluding Breitbart as an ad placement from their remarketing campaigns. Others agonized over all the “free speech” implications of what to do and honestly struggled with what was the right thing to do. Why Breitbart? and Why Now? There obviously has been a ton of finger-pointing and blame after what I think was the most bizarre election of our lifetime. There’s been plenty written about the problem of “Fake News” and the riches made from it in the election cycle. Macedonian teenagers made upwards of $10,000 a month peddling fake news stories to mostly conservative audiences hungry for “red meat” politics in the election season with stories they have admitted to making up in the interests of getting rich. Page Views = Ad Impression. Ad Impressions = Ad Revenue. 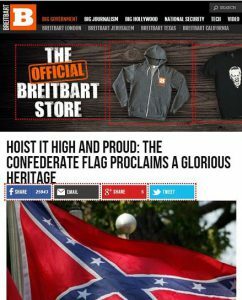 But, Breitbart has gotten a reputation for being incendiary and well…racist and bigoted. Combine that with hurt feelings after an election and the knowledge that Breitbart profited in a major way from its “content” and it was obviously going to upset some people. Enter Sleeping Giants. Sleeping Giants is an online movement “trying to stop racist websites by stopping their ad dollars“, and its aim seems to have focused primarily on Breitbart. Sleeping Giants “crowdsourced” the work of getting people to shut off ad revenues to Breitbart. The original Facebook post of Sleeping Giants is dated November 28. In that time, it has over 15,000 likes and it has even more Twitter followers (+45,000). 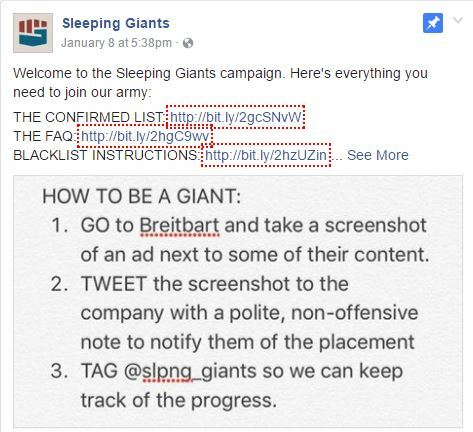 Sleeping Giants has outsourced the dirty work of shaming advertisers into removing their advertising from Breitbart to the public on social media channels and it looks to be pretty effective. Perusing Sleeping Giant’s Twitter page offers the best view of the success they have had in getting brands to stop advertising on Breitbart. It’s a busy page that seems to be growing more momentum every day. My guess is that I will have more client’s asking about Breitbart in the future because of them. Admittedly, most of the brands advertising on Breitbart don’t even know their ads are possibly showing on that site. In most cases, it’s just simple remarketing campaigns that show ads to site visitors across the Google Display Network that triggers ads for those site viewers whenever they might go to Breitbart. But, Breitbart, like every other web publisher is making most of its money from online media buyers out to get “eyeballs” on their client’s banner ads. The media buy model is usually based solely on ad impressions and increasing brand recognition by doing so. There is all manner of demographic targeting options for doing so and attention is usually focused on target demographics and site placements. For the site placements, those media buyers are knowingly buying ad impression in bulk on a particular web site. Ask yourself this. What value is just seeing a banner ad? But eyeballs on ads is the measurement of an entire industry. the tactic of choice in the 2016 election and still today is the use of provocative “clickbait” headlines and unfortunately completely made up fake news stories sometimes contribute to that headline creation. Publishers rely on social media channels like Facebook and Twitter for viral distribution and reaction to these provocative pieces on content and the result is page views that likewise turn into ad views and thereby ad revenue. We have always taken the approach that the ad impression isn’t really worth much. It’s the ad click and the desired conversion action after the click that matters most. As a result, we always use cost per click bidding, as opposed to cost per impression bidding. We also have bid up and down at the site placement level, based on the conversion performance of that site placement. Many sites generate a large volume of ad clicks and absolutely no conversion success at all for our clients. Those placements either get their bids severely cut or outright excluded from our advertising. 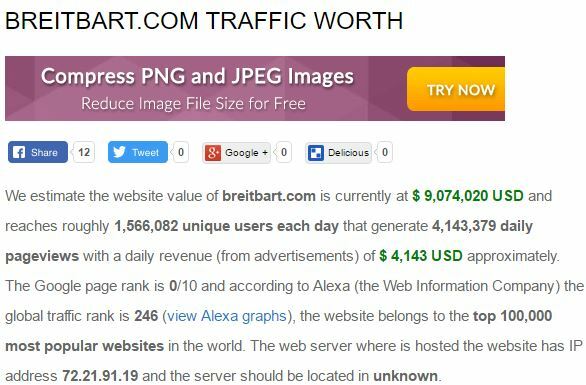 Most of this bidding philosophy led to pretty low click volume on Breitbart for the clients that inquired about their ads on that site. This was strictly based on conversion performance and not any political reasons. Some of our clients truly struggled with what to do about having their ads on Breitbart. They felt that free speech, no matter how incendiary, was something they felt Breitbart had a right to express. But they also struggled with the idea of financially funding that speech. Others just asked for use to exclude the site from all possible ad placements. One of the clients opted for a completely different option that was much more far reaching. 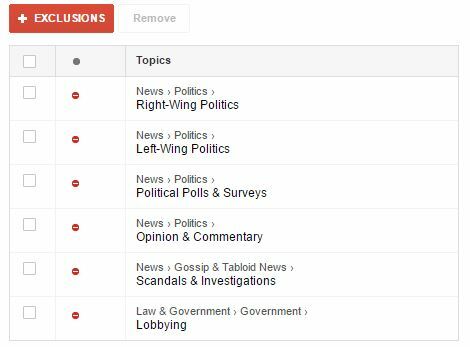 They used topic exclusions to completely eliminate their ads from showing on ANY political website, whether right leaning or left leaning. The nuclear option. Exclude Ads from ALL political websites. Doing so meant walking away from many business opportunities and possible reduced performance. 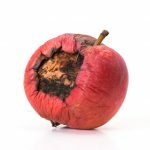 But, it was absolutely a situation of “One Bad Apple Ruined the Whole Bunch” to them and they aren’t looking back. It truly is a situation of being fair by denying all possible political sites from enjoying ad revenue. Which is a position that I would bet Sleeping Giants might not have anticipated. Google’s own Audience Insights data recently indicated to us that 19.3% of American Google users are “Right Leaning”, 21.5% are “Left Leaning” and the other 59.2% are “Centerists” not favoring either side. 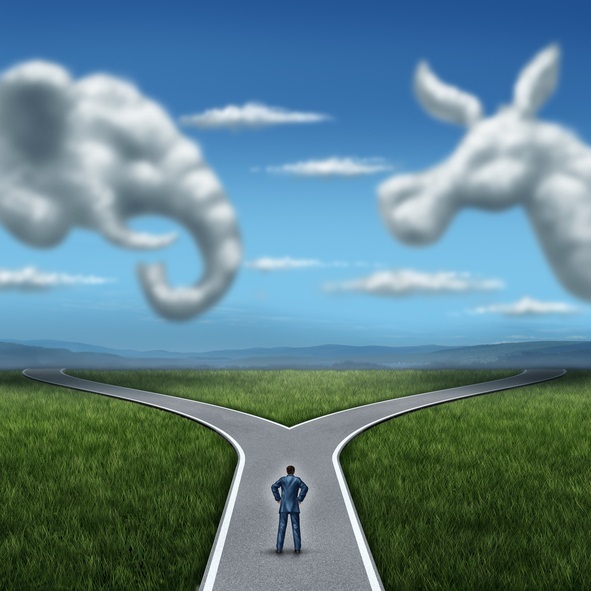 Excluding your ads from the political extremes on each side could impact a great deal of your online opportunities. If you are in the advertising game for getting ad clicks that execute the conversion actions you desire, then cost per click advertising instead of cost per impression brand awareness media buys is a superior tactic. If you are doing brand awareness media buys, you will be paying all manner of site owners merely for the privilege of showing an ad on their websites and the only success metric is did those sites meet their delivery goals of guaranteed impressions. If left unchecked, both of these advertising tactics will show ads on political websites. But, it’s my belief that the media buy model will enrich those political websites more than cost per click advertising. You have options for exclusion on those political websites if you want to use them. The question is will you use those exclusion options?